My successful chase of a Northern Wheatear on Wednesday set my mind to churning and I decided to try to find something else to twitch on Friday morning before work. There were a host of great shorebirds in New York’s Orange County on Thursday early in the day but reports of roads being flooded out and the rather long distance, almost two hours travel from Queens, made that idea a reject. 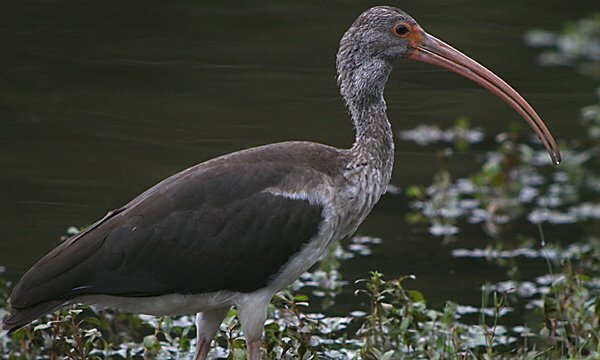 I had been hearing of the White Ibis in northern New Jersey for a couple of days and when I checked into its exact location I was pleasantly surprised to learn that it was about ten miles from my job. Decision made I went to bed on Thursday night with visions of an ibis dancing in my head. But would the bird stay? 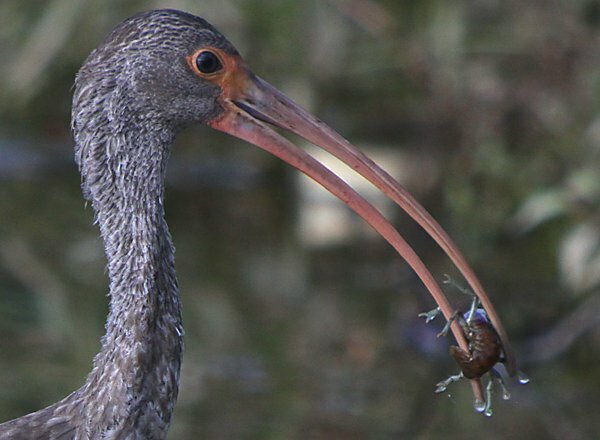 Reports had it being a more-than-confiding bird and it seemed content gorging itself on its preferred food item, crayfish, that it was finding in Park Ridge’s Silver Lake which really is a large pond. Arriving at 7:45 AM I got out of my car and had the bird in my binoculars before ten seconds had gone by. My second-ever White Ibis! Eudocimus albus is a pretty bird, even when immature, which this bird was. 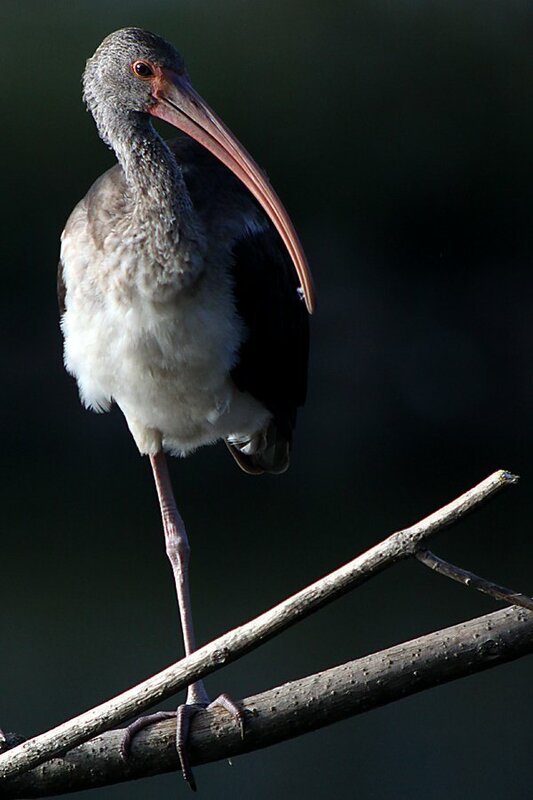 The American White Ibis is a bird of the southeastern United States and the Neotropics. 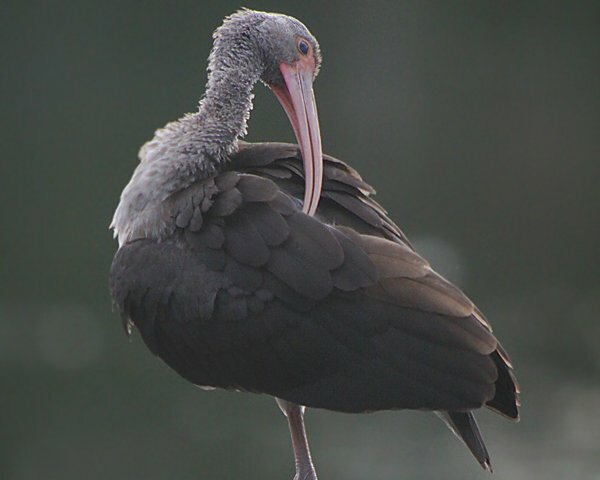 The “American” part of their name is added to distinguish them from the Australian White Ibis, which is a very different bird with an all-black head. 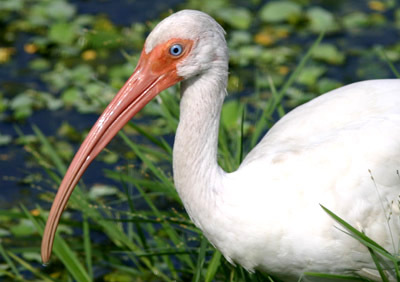 The American White Ibis is a Species of Least Concern according to BirdLife International because of its extremely large range and large and stable population. What was this particular ibis doing in northern New Jersey? 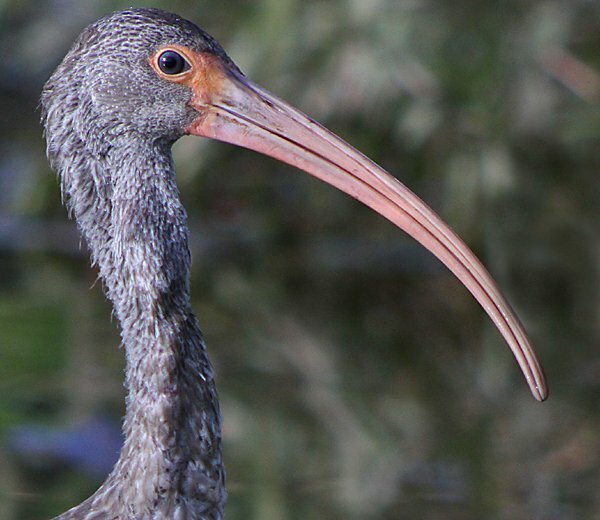 This spring and summer saw a spate of White Ibis sightings across the northeast. An adult like the one at right spent time in New York’s Staten Island (and served as my first-ever sighting) and juveniles have been reported from several locations over the summer, including in nearby Orange County, New York. 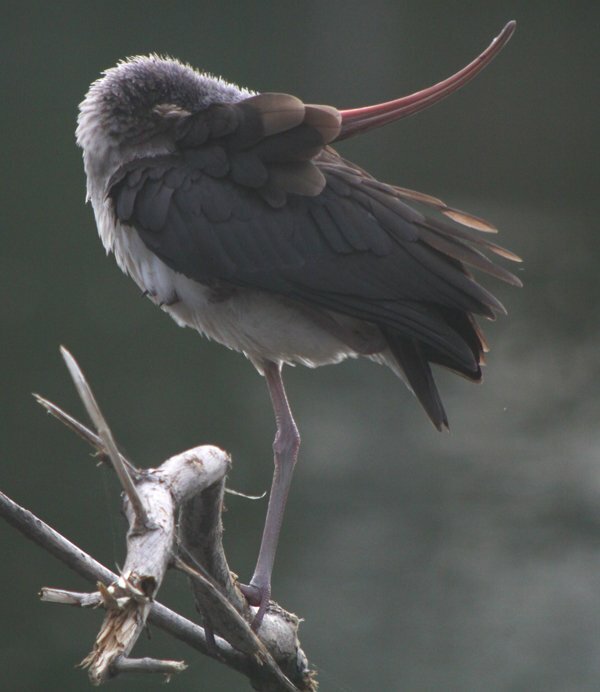 It is possible that this bird is the same bird that was in Orange County and it is also possible that it rode the winds of Hurricane Irene or Tropical Storm Lee. 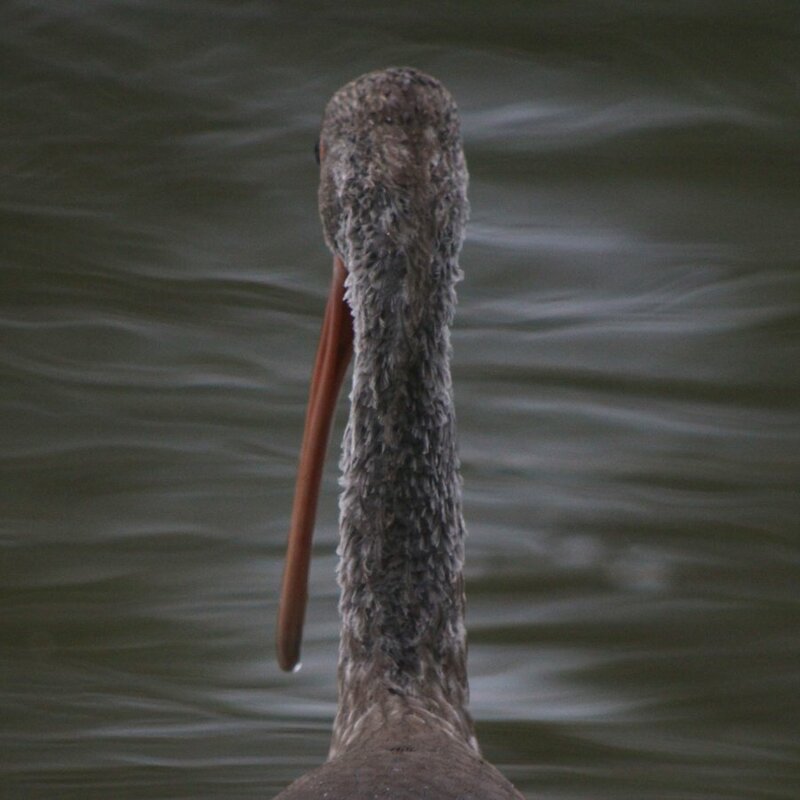 The off-course juvenile could also be the result of normal post-breeding dispersal,that is, once breeding colonies of wading birds are done for the year the young tend to wander around learning how to survive on their own and often end up in interesting spots. 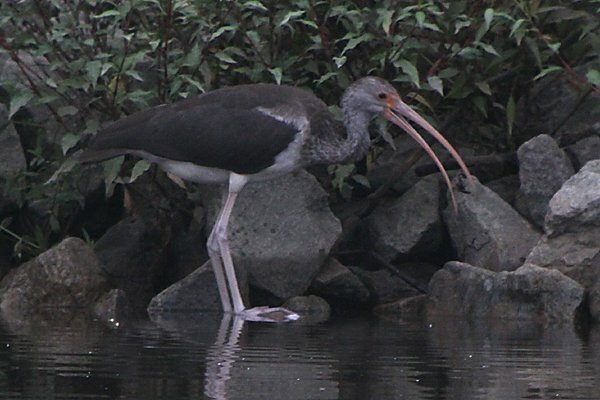 We will never know but I do know that I appreciated the 45 minutes I spent watching the youngster catching crayfish, preening, and just being an ibis. 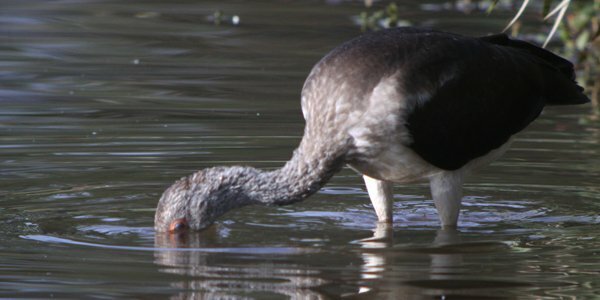 All of these shots were digiscoped through my Swarovski spotting scope with my Canon EOS 50D. As my time with the bird got longer the light got brighter but there were only a few moments of direct sunlight. Anyway, I hope you like these shots and that you get to see your own good birds before work! Great photos, Corey! It has indeed been an unusually good fall for that species; after years of never seeing the bird in the state, I’ve now seen two in two days in New Jersey. Wow. Wonderful shots. I had no idea ibises were ever up in this neck of the wood. How very cool. Beautiful shots! Last one is very cool! @Rick: Any idea why so many have made their way our way? @Out walking the dog: Thanks! 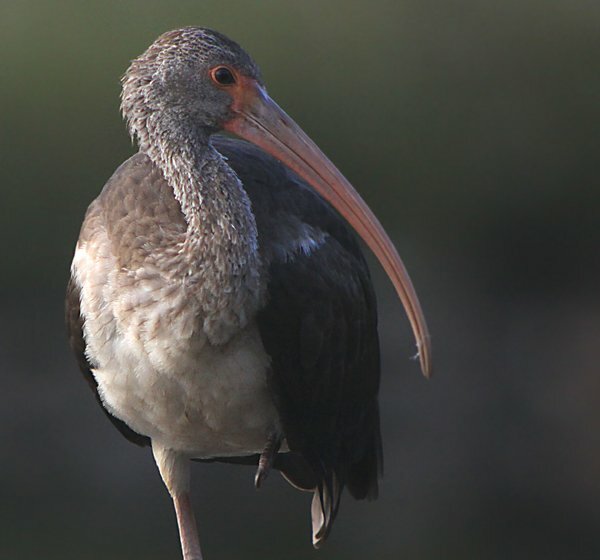 Glossy Ibis are common along the coast and both White-faced Ibis and White Ibis can show up as well. @Dawn Fine: Thanks…and I was really hoping that someone would like that contorted pose. Awesome shots as always. And who knew there were crayfish in Jersey? !